Giveaway! 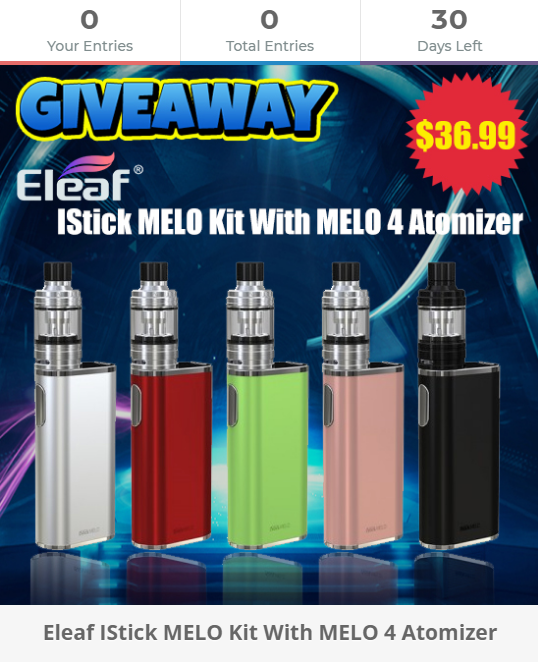 Do You Want To Get Eleaf IStick MELO Kit For Free? Do you like Eleaf IStick MELO Kit, how do you feel about it, there is a giveaway for that.Now you have a chance to get it for free, please check it with us!